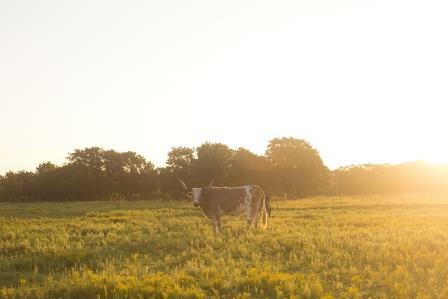 This combination grazing/recreation property provides quality wildlife habitat and productive grazing. 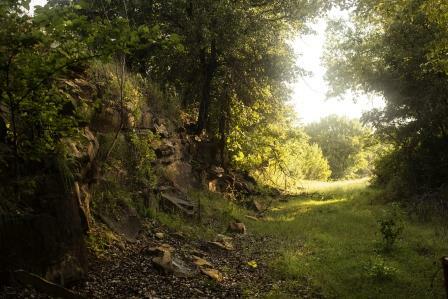 The ranch contains a mosaic mix of Tallgrass Prairie and Cross Timbers vegetation with approximately 40 acres of introduced forage on the Saucy Calf Creek bottomland. 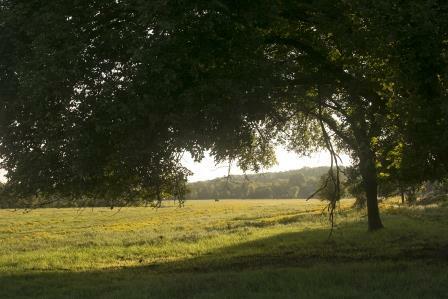 The class 1 Verdigris and Braman silt loam soils of the bottomland support an introduced forage base consisting of bermudagrass, fescue, annual ryegrass and clovers. The sandstone soils support native grasses, legumes and a varied mix of upland timber. There is 150 ft of elevation change as the terrain varies from 750 ft. to 900 ft. 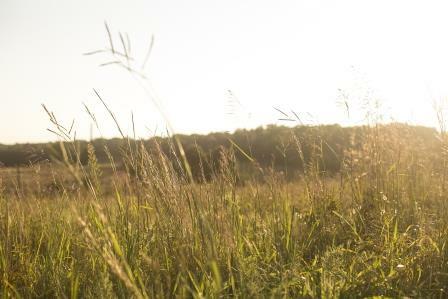 The plant communities, availability of water, topography and savannah landscape provides excellent white-tailed deer and northern bobwhite quail habitat. 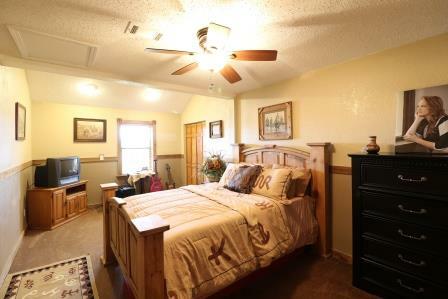 The ranch is conveniently located less than 10 minutes from downtown Pawhuska. 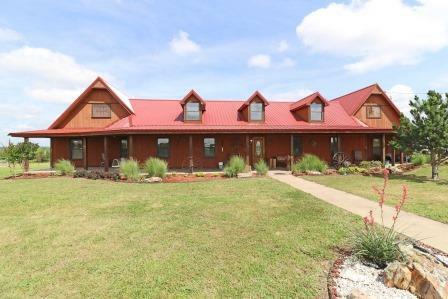 The ranch includes 429 acres +/- of deeded land plus approximately 10 acres of abandoned railroad right of way, which also provides convenient access across the ranch. 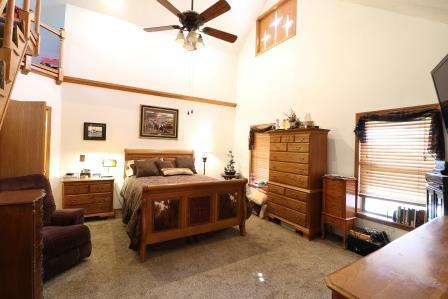 The property transfers as surface only and currently has no mineral production. 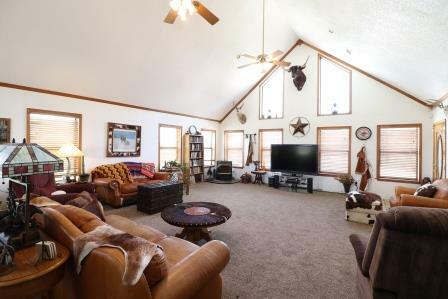 The property is located approximately 6 miles southeast of Pawhuska, Oklahoma near the small community of Nelagoney. 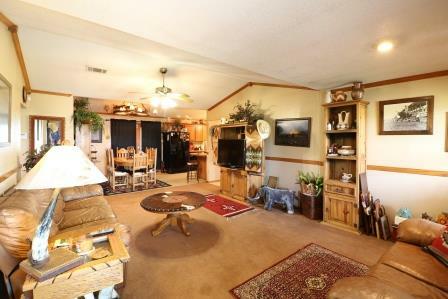 The ranch is about the same distance northwest of Barnsdall, Oklahoma. 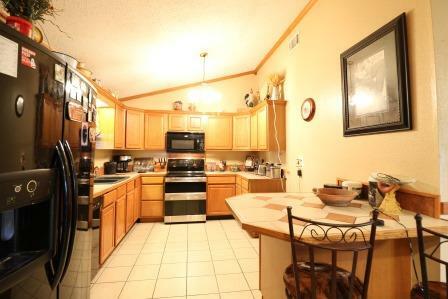 The ranch is approximately 30 minutes to Bartlesville and 50 minutes to Tulsa. 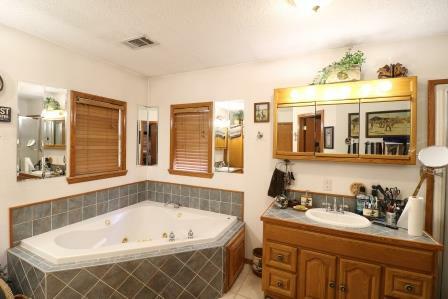 It is located near two state highways, providing access in any direction. 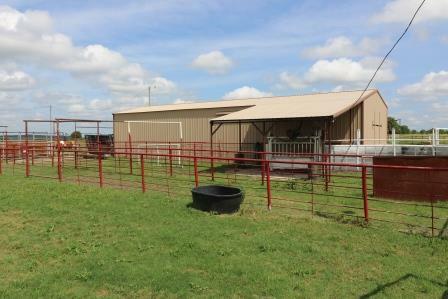 A well-constructed, and very functional, set of livestock corrals is located at the entrance of the property. 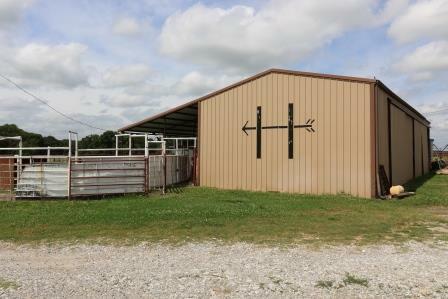 The corral adjoins a 24’ X 68’ three-bay metal shop with concrete floors and overhead storage. This area is also serviced with electricity and rural water. 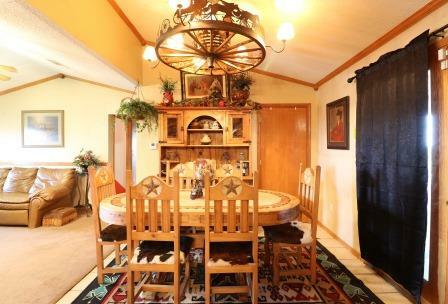 The ranch is divided into 6 pastures and traps. Fencing ranges from adequate to newer steel post and corners. Approximately 0.75 miles of fence will need to be constructed to separate from adjoining lease land. Saucy Calf Creek is spring-fed and runs through the property from the southwest to northeast, providing a dry weather source of water, as well as running water even in cold weather. 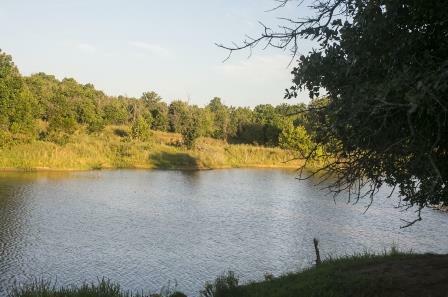 There are 4 ponds and a 2 acre lake that provides excellent fishing and recreation value, as well as water for livestock. 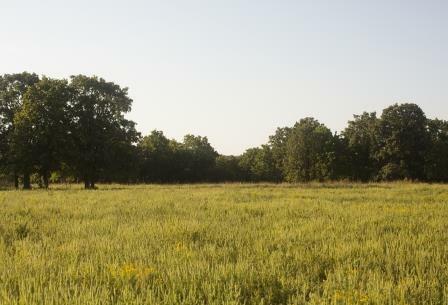 This rolling “Osage Hills” ranch contains native Tallgrass Prairie grasses, forbs, and legumes in the open prairies and in the Cross Timbers areas oak, blackjack, and hickory. Prescribed fire has been used to suppress undesirable species such as eastern red cedar and to prevent brush encroachment. Prescribed fire is an excellent wildlife habitat management tool. 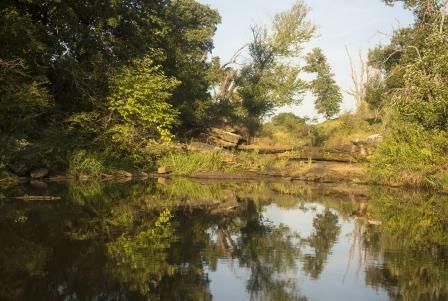 The Braman and Verdigris soils along the creek are capable of producing 10,000 lbs/year of forage while the varied upland soils can produce from 3,200 to 7,000 lbs/year. Osage County is well known for the diversity of wildlife and this area is no exception. 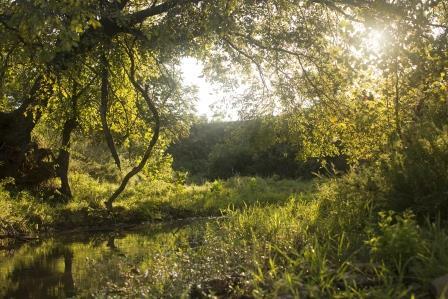 The excellent wildlife habitat and edge provide areas that attract white-tailed deer, wild turkey, quail and many other game and non-game wildlife. 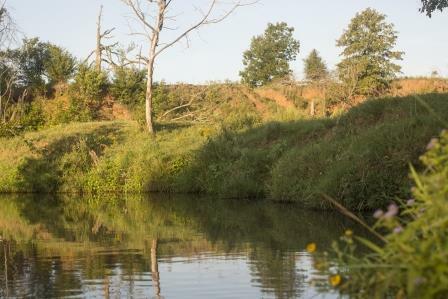 The lake, ponds, and creek attract waterfowl and provide quality fishing opportunities. ADDITIONAL INFORMATION: The ranch sells subject to the existing grazing lease that expires April 1, 2020.